Montmorency tart cherries are classics. This variety is used to make dried cherries and is perfect for pies and jams. Dark, sweet cherries are great for fresh eating, but if you want to bake and preserve, you need something a little tart. Montmorency is an old variety of tart cherry, dating back hundreds of years in France. It is also the most widely grown tart cherry for commercial uses, so chances are if you have ever had a product with tart cherries in it, you’ve had a Montmorency. 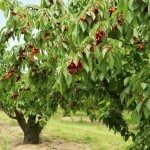 Montmorency cherry trees are hardy in zones 4 through 7 and need about 700 chill hours in the winter months. You can find Montmorency trees on standard and dwarf rootstocks, and they all grow in a pleasing oval shape. 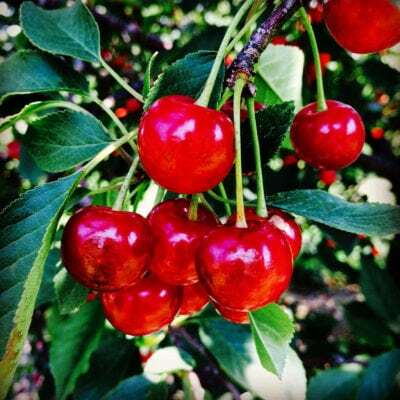 Abundant late spring flowers are followed by cherries that ripen and are ready to be harvested around late June. The best uses for Montmorency cherries are preserves and pies. The tart flavor, with just a little sweetness, lends a unique flavor to desserts and jams. You can always add more sugar, but the best recipes have a great balance between the cherry’s natural tartness and added sweetness. Cherry trees need full sun and room to grow without being crowded. Loamy to sandy soil is best and should drain well. These trees can thrive in soil that is not very rich or fertile. Your Montmorency cherry tree will be able to tolerate some drought, but it’s a good idea to water it regularly at least for the first growing season so that roots can become established. Montmorency is a self-fertile variety, which means you can grow it without other cherry varieties in the area for pollination. However, you will get more fruit if you include another pollinator in your yard. 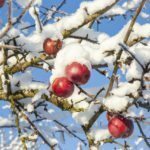 Maintenance of your cherry tree should include yearly pruning during the dormant season. 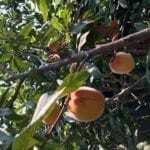 This will help you maintain a good shape for the tree, and it will promote good fruit production and air flow for disease prevention. 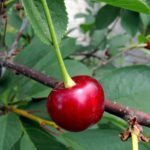 This is the most popular cherry in America, and for good reason, so consider a Montmorency if you are looking for a new fruit tree for your home orchard or a dwarf variety for your small yard.